Q: Can I encode Membership and Org information into the JWT or do I need to make another call to AuthRocket to get it? A: You can have Membership and Org information encoded in the JWT if you want. 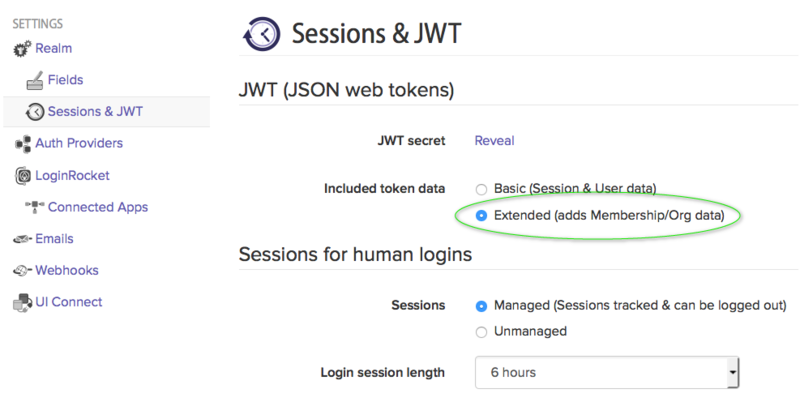 It’s off by default, but you can turn it on at: Realm -> Settings -> Sessions & JWT. Change Include token data to Extended. See: Login Tokens for details.